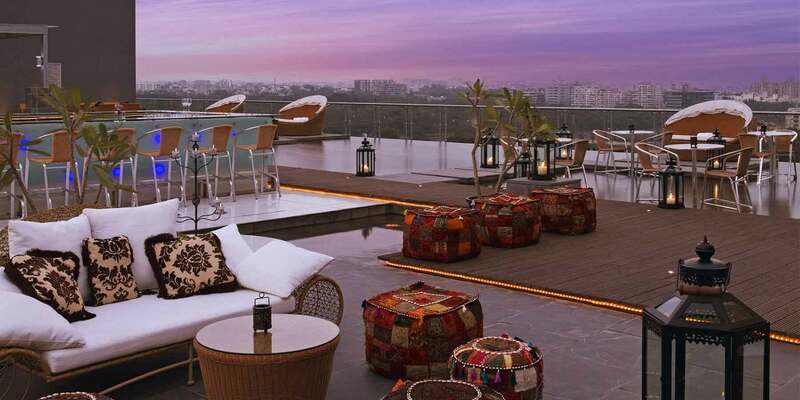 Rooftop Restaurants in Pune | Addah at The O Hotel Pune. A beautiful rooftop lounge space, Addah, captures the fusion of the two elements Fire and Water. Time flies overlooking the expanse of the Pune skyline, the setting sun or the rising moon. Get lost in the rhythm of tranquil water of the pool on the O terrace as our chefs fire up the live charcoal counter to spice up your taste buds with Indian specialties.